Our Edina MN roofing company is experienced in installing the best roofs to protect your house and secure no matter how severe the weather is. Whether you have to install a new roof or replace or repair an old one, we will work accordingly and provide you the best services. There are many types of roofs but here we will discuss three types that we install in Edina MN that we find effective and protective against the changing weather. Asphalt shingles are available in different colors and styles and are an excellent choice if you want to protect your home from bad weather. These roofs look very attractive, and the good thing is that they are less expensive as compared to other roofs such as metal or wood shakes. Our architects and designers are experts in installing asphalt shingles to make your house look as beautiful as ever. If you’re a homeowner and want to have a roof installed at a reasonable price, asphalt shingles roofs are an ideal and cost-effective solution. Edina roofing requirements are somewhat different from other cities because of the harsh weather, and these roofs are a popular choice among homeowners there. These roofs are not that durable as compared to other roofs made up of metal, slate, cedar shakes, or clay tiles, but they still provide enough protection and attraction to the house at a very less cost. Cedar shake roofs need maintenance and cleaning to ensure proper functioning. The roofs must be kept clear of branches, leaves, and debris all the time and the area should be well ventilated too. Treatments such as ultraviolet inhibitors and water repellents should also be used to stop the wearing and graying of these roofs. 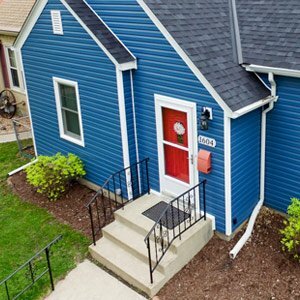 Many homeowners prefer asphalt shingles over cedar shakes because they come at a reasonable price, don’t need maintenance, and are easy to install. If you are not on a tight budget, you can consider cedar shakes as they look amazing and are very durable too. Cedar shakes possess high-impact resistance against winds, so they are the perfect option for people who live in Edina MN. We have tested the cedar shakes according to different wind speeds, and they don’t blow off even when the wind is very high or there is a storm in Edina. Metal roofs are an unpopular choice among homeowners because they are expensive and need maintenance. These roofs are, however, the most durable and long-lasting ones and will protect your house against all types of weather changes. 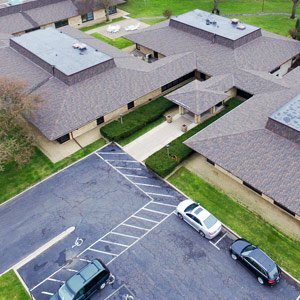 As an Edina MN roofing company, we want our clients to use the best and most durable roofing material for their houses so that the value of your property increases. Our sturdy metal roofs will keep your house secure and protect it against winds and storms while adding beauty and style to the house. The metal roofs are fireproof and reflect heat during summers to keep the house cool. Check out How to find a reliable roof replacement contractor.